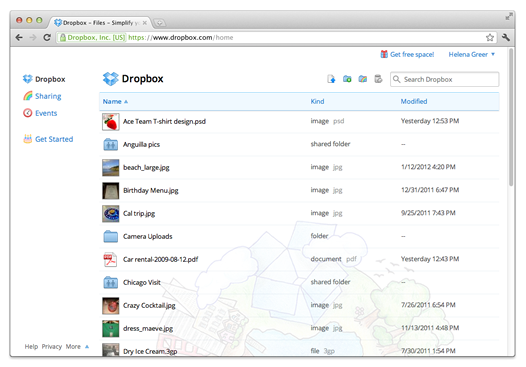 Dropbox updated its interface to give simpler, more powerful, and more beautiful web experience to its users. 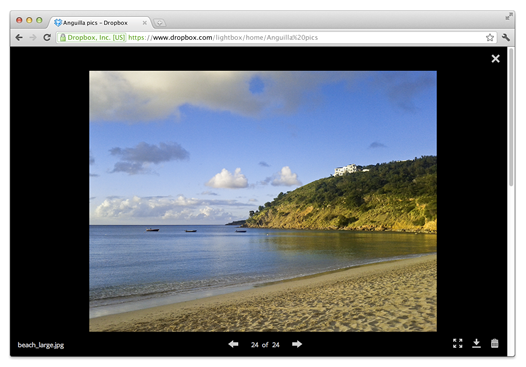 Introduced new simple and gorgeous photo viewer that lets use entire screen to view pictures or videos. Dropbox also introduced keyboard shortcuts for easy mouseless browsing. You can view full list anytime by pressing ?